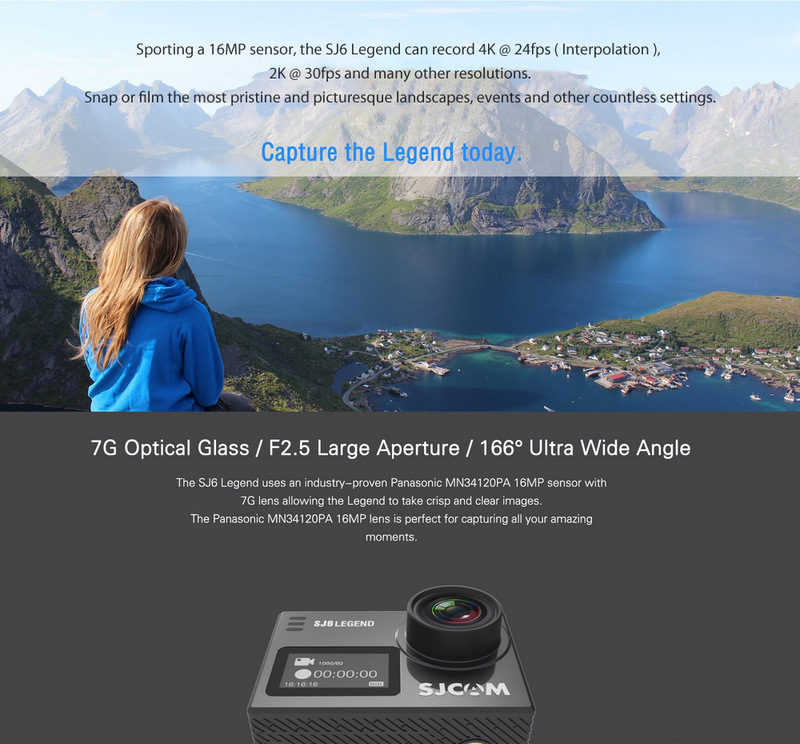 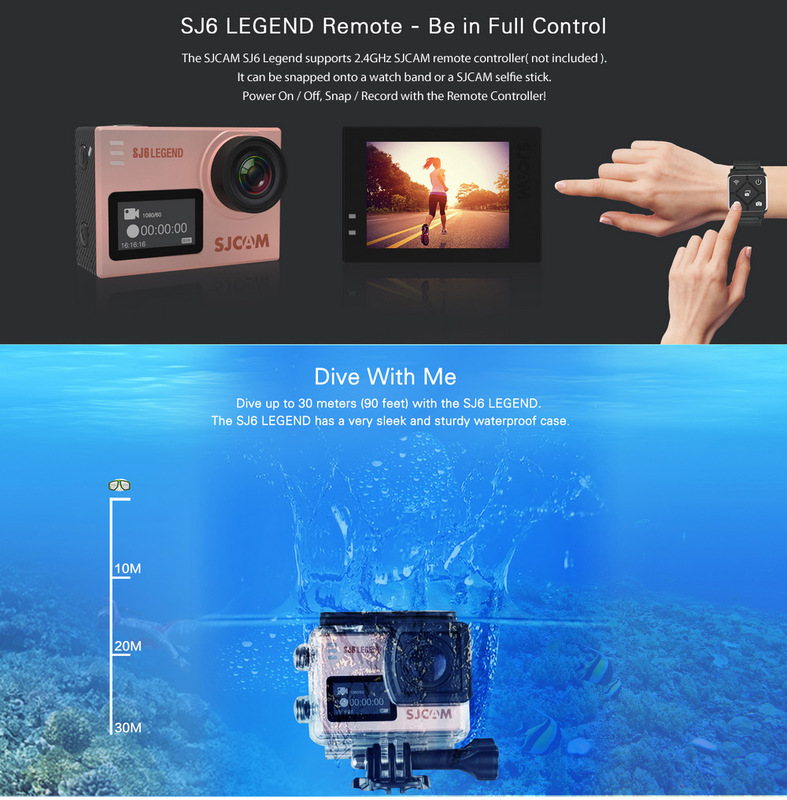 SJ6 LEGEND cameras have been designed following the needs and market trends. 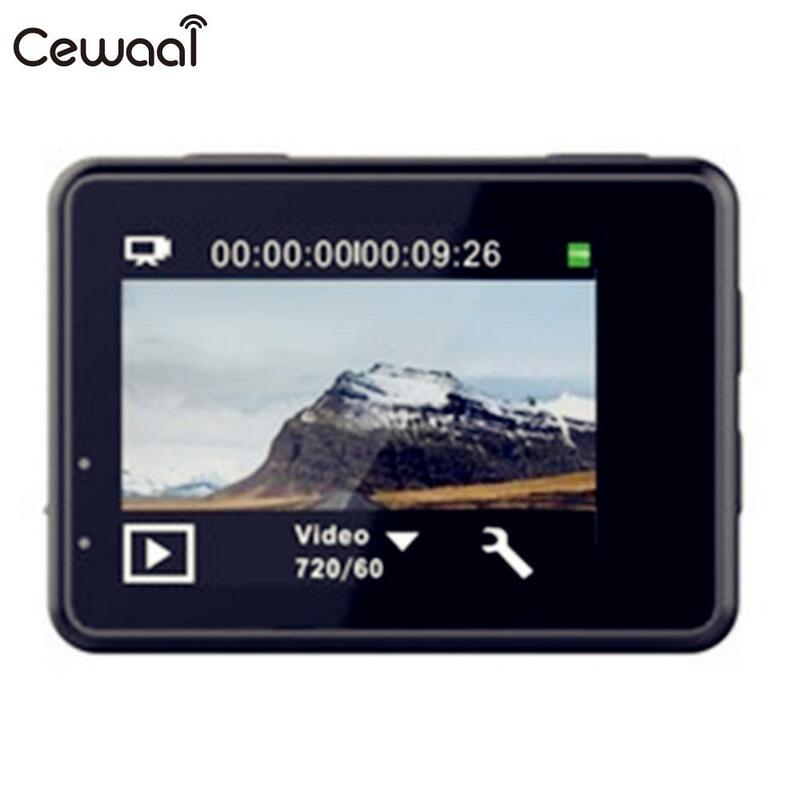 They have a variety of features including HD video / audio recording, photo shooting, WiFi and remote control. 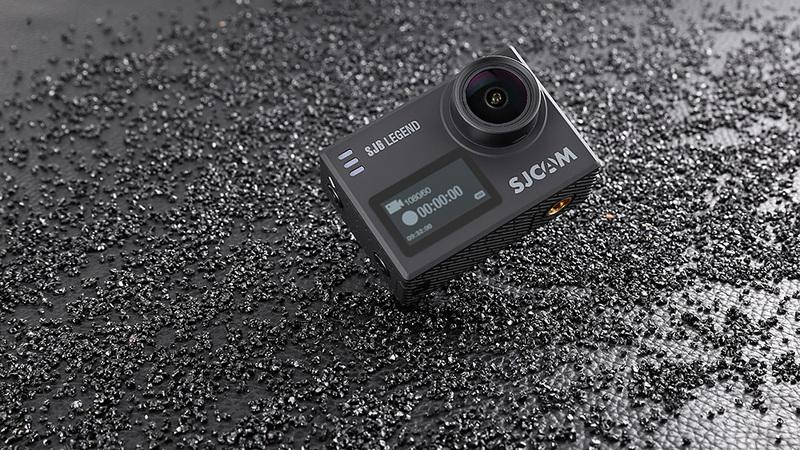 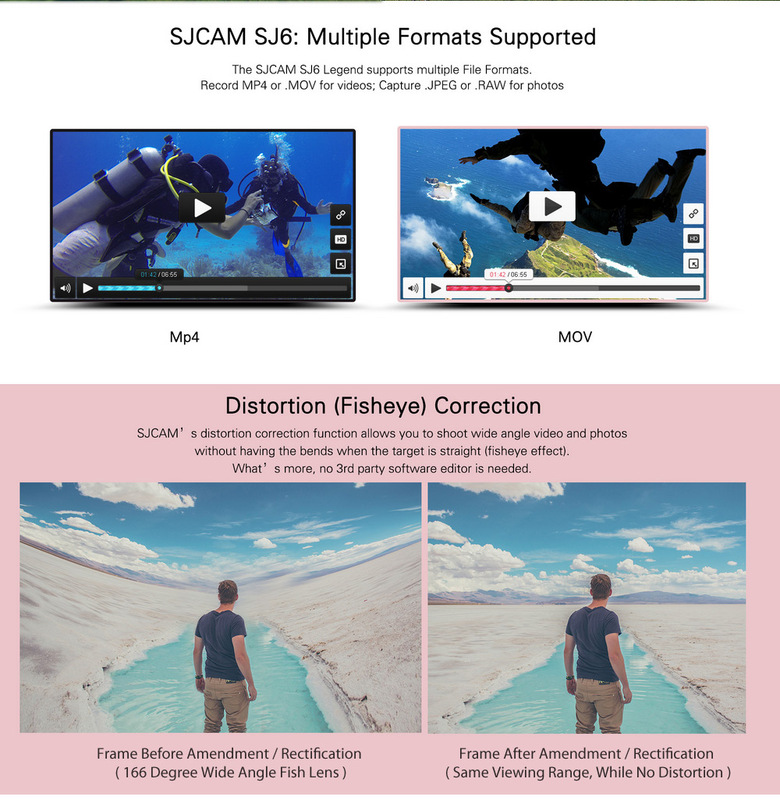 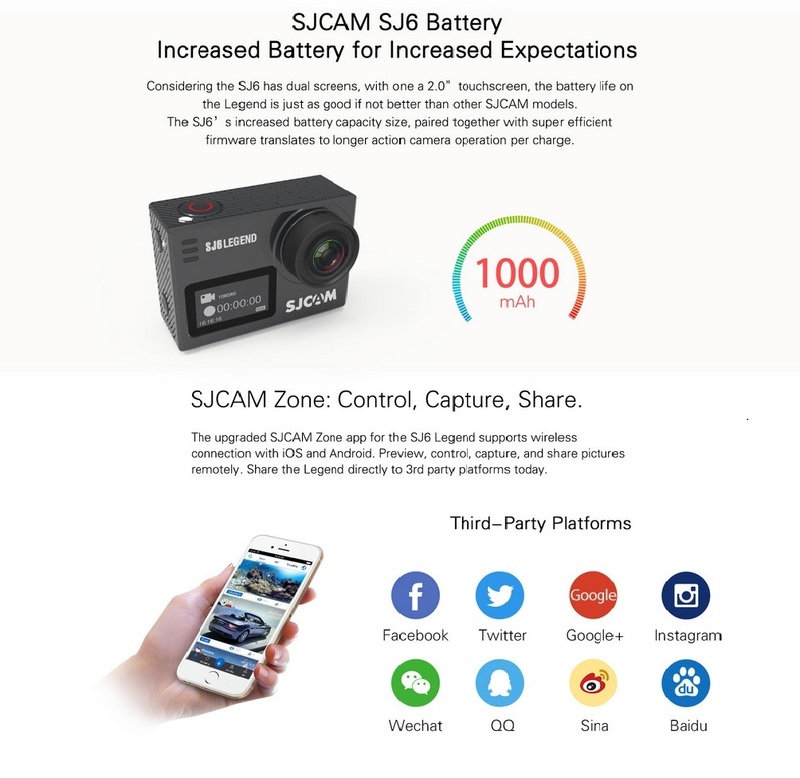 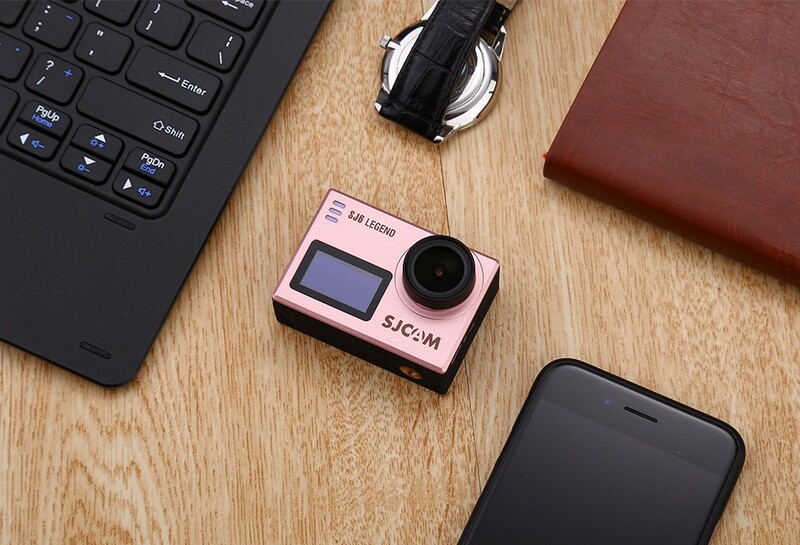 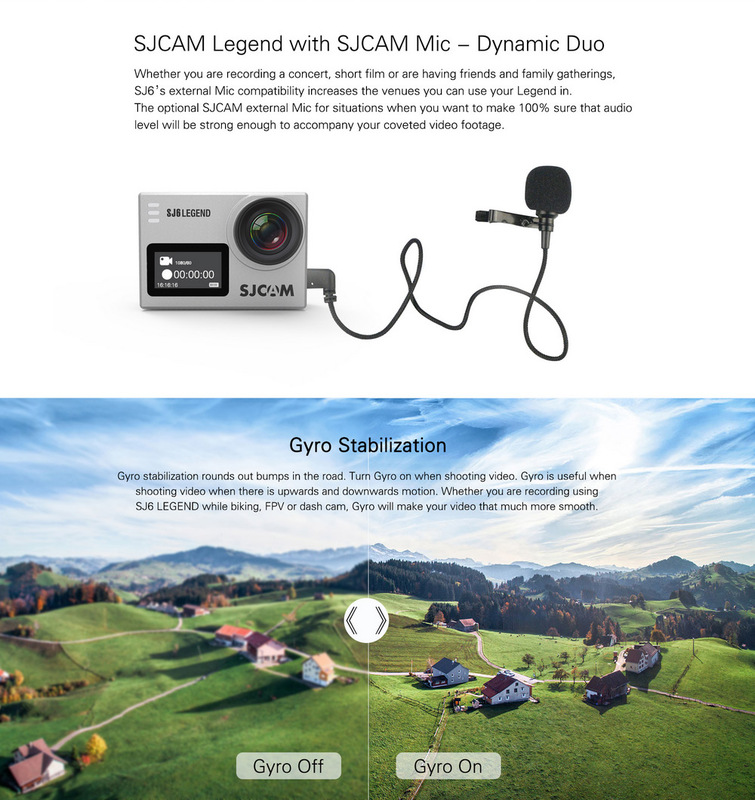 A detachable battery, waterproof, waterproof case and all the accessories included make the SJ6 LEGEND cameras perfect devices for outdoor sports, backpacking, motorbiking, or as your car\'s dash cam, allowing you to film anytime, anywhere. 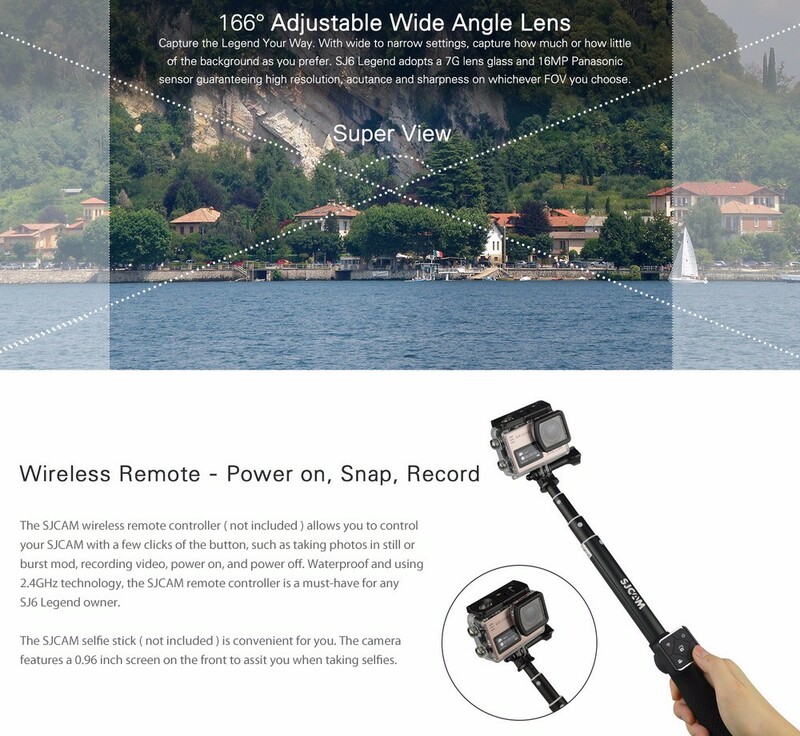 The remote controller, selfie stick and mic showed in the pictures are not included in the package.